Gardening Year ‘Round, Month by Month In the Rogue Valley – A Guide for Family Food Production – Jackson County Master Gardeners Assoc. In Ashland, Oregon the last frost date is approximately May 15th. Sow seeds in your greenhouse, or indoors, for transplanting after May 15th. Basil, Cabbage, Peppers, Summer Squash, Winter Squash, Pumpkin, Tomato, etc. Flowers; Sunflowers, Cosmos, Marigolds , Zinnia, etc. If the soil is not too wet, you can sow the following vegetables seeds directly into the garden. Once seedlings emerge protect them from spring frost. Lettuces, Cauliflower, Spinach, Chinese Cabbage, Broccoli, Peas, Chard, Carrots, Turnips, Parsnips, Leeks, Kohlrabi, Beets, Radishes. You can plant onion sets up until 4/15. And, you can still plant raspberries and strawberries plants. Fertile flowerbeds, shrubs, trees and grass. Start baiting for slugs, snails and earwigs. Watch out for spittle bugs and aphids on your existing strawberry plants. Watch out for aphids on all plants in the landscape. 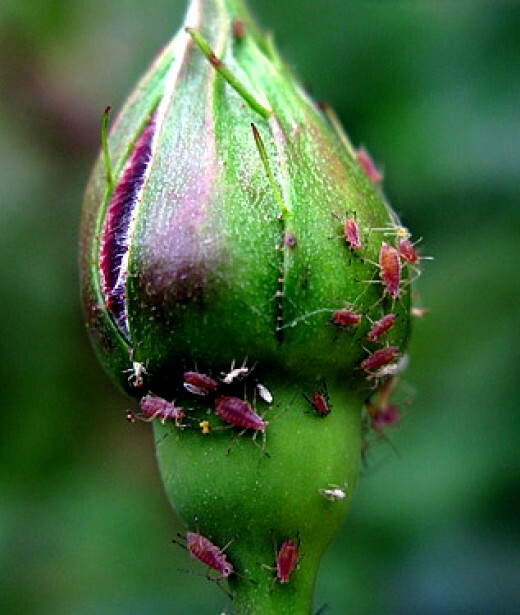 Home remedy for Aphid Control: Mix a teaspoon of vegetable oil, a teaspoon of dishwashing liquid and a cup of water. Or, mix three tablespoons of liquid soap and a gallon of water. Spray to wet the entire plant thoroughly, particularly the undersides of leaves, because aphids must come into contact with the soap solution to be affected. After a few hours, wash off the oil and soap with a garden hose to protect sensitive plants. Repeat the application every few days as necessary. Control spittle bugs by blasting spittle bug foam off plants with water. Repeat as necessary. Pruning shrubs & trees should be completed by now! Alternate layers of nitrogen-rich greens & carbon-rich browns. • Manure from vegetarian pets: rabbits, gerbils, guinea pigs, sheep, horses,cows, llamas, etc. • Unbleached paper towels, napkins, wet is okay, greasy no! • Select a level, partially-shaded spot for your bin with good water drainage. Be sure it is at least 8 in – 12 in away from walls, fences, bushes, doors and windows. • Cut kitchen scraps up into smaller pieces – faster decomposition. • Whenever you add any food layer, top it off with brown material. Keep a pile of dry browns near the bin to sprinkle on top each time you add kitchen scraps. • The beneficial microorganisms in your pile need oxygen. If too compacted (like in a landfill), they produce methane as they decompose, which is a greenhouse gas. Leave lots of air space in your bin and mix the contents every week or two with an aerator tool, or an old broom handle. • Collect dry leaves and grass in a separate, dry container. Then you can use them year-round. • Compost is generally ready to use after two or three months but aging the pile another one to two months before putting it on lawns or garden will improve it. WHY? They attract rodents & other pests and cause odor problems. • Grease, oils or fats. • Dog or cat feces, kitty litter, human waste – Meat-eating animals, including humans, carry diseases, and kitty litter may contain chemicals. • Ash from barbecues or coal Contains harmful chemicals. • Weeds with mature seeds. When you spread the compost, you’ll spread those weeds, to your garden. • Treated wood products May contain harmful chemicals. Compost is attracting pests: dogs, rodents, raccoons. Improper materials added. Use a pest-resistant bin. Put kitchen scraps in the center of the pile and cover with soil. Compost pile is wet and stinky, too much green material. Add brown material. Turn pile. Insufficient covering. Put scraps at the center of the pile. Pile is dry too much brown material. Not enough water. Add fresh kitchen scraps. Moisten with water. Cover pile to reduce evaporation. Compost is attracting flies. Food scraps are exposed. Cover green material with browns. Avoid adding grease, oils, meats, breads, etc (see checklist above). Cover food scraps with soil or brown material. Put kitchen scraps in the center of the pile.